No need to mess with false lash extensions, when you can grow your own natural lashes for less money and without having your eyes taped open! Ah. The things we do in the name of beauty. The Queen started using lash extensions before the holidays in 2012 and was quite disappointed to learn that you can’t remove them. Instead you wait for them to fall out. When they were gone, so were her normal lashes. She was left with short stubby new growth. This product called Revitalash from Athena Cosmetics in Ventura California dramatically enhanced how quickly they came back. We estimate our lashes here at the hive got about 30% longer than they were before the extensions and they were thicker. So were so new and healthy, they didn’t like to take “dye” for several weeks also. Mascara went on just like normal. If you haven’t used this type of product before, it is similar to Allergan’s Latisse. You paint it on like a clear eye liner before bed at night. After about a week, you will start to notice subtle changes. 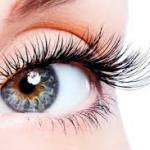 Over the next month your own lashes grow thicker and fuller than in the past. We did not experience any skin sensitivities. The results last quite a long time because you have encouraged your natural hair to grow instead of damaging the lashes with glue and chemicals. As we age, we naturally lose volume both on our lashes and brows. For many women this is a simple solution. The revitlash brow is eyebrow product that works as well and we will have both in stock this week. Couple of other things to note with this product. Revitalash makes lots of different products. 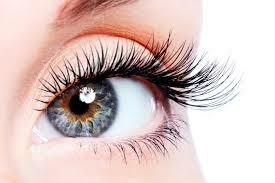 The lash grower comes a 3 month size which looks similar. If you find a disparity in price, it is probably due to this. Also, you want to ensure you are using the newest formula. It was just released in October of 2014. If you are finding something at a discount outlet, it is the old formula. « New hydrating Intraceuticals Oxygen facial service in Pagosa special price. Vivify Spritz and Serum. What is the difference? It was Melting! Problem encounted with some bottles of Hydro: Primer. New hydrating Intraceuticals Oxygen facial service in Pagosa special price.